The arguments began at 3 p.m. with senior counsel, Shyam Divan, representing father of Hadiya, making a fervent plea to the bench, to reconsider its decision not to hold an in-camera hearing. “The purpose is to learn from her the forces behind her. There is tremendous organisational support; therefore, some degree of interaction, and element of probing is necessary. The atmosphere must be closed door”, he told the bench. Divan then spoke about the very highly communally charged atmosphere in Kerala. He warned the bench that there would be some threats to what she might say in the open court. “Please revisit that decision to hold a public hearing”, he pleaded. Divan again repeated his old argument about indoctrination, and how a well-oiled machine is masquerading as cult organisation, and converting young women. The Additional Solicitor General, Maninder Singh, representing the National Investigation Agency (NIA) sought a wider hearing on indoctrination and its impact. According to him, the Supreme Court can’t decide whether a person is under indoctrination or not, by interacting with her in the open court. “It is psychological, a result of kidnapping, and involves individual autonomy. It is programming, and there deprogrammers”, he told the court. Senior counsel, Kapil Sibal, representing Hadiya’s husband, Shafin Jahan, told the bench that assuming whatever the other side says is true, she still has a right to say that she is doing things on her own. Responding to Divan’s argument on communalisation, Sibal said he was saddened with the expression of venom. “I can give a communal response to communal argument”, he retorted, and asked what has it got to do with Hadiya. “She is in custody of her parents, for the past eight months, with no access to anybody else. Why do you want to communalise Kerala, in this fashion”, he asked. Emphasising that she is entitled as an adult to decide, Sibal said whatever NIA says is not the gospel truth. “How can I be indoctrinated, if I am in custody”, he asked and told the bench that the NIA takes u-turn in many cases. Opposing the plea for in-camera hearing of Hadiya, Sibal said he was concerned about her autonomy. “In the national interest, it should be done in the open court. She may decide whatever she wants to decide”, he said. Sibal cautioned the bench that it should not be drawn into the cross-current of politics. If there is compelling evidence and if it persuades you, that there is no choice involved, in the conversion to Islam, then take action, Sibal told the bench. But even if the marriage is a wrong decision, she is entitled to go through it; if there is a break-up, so be it. After all, so many marriages break up, Sibal said. 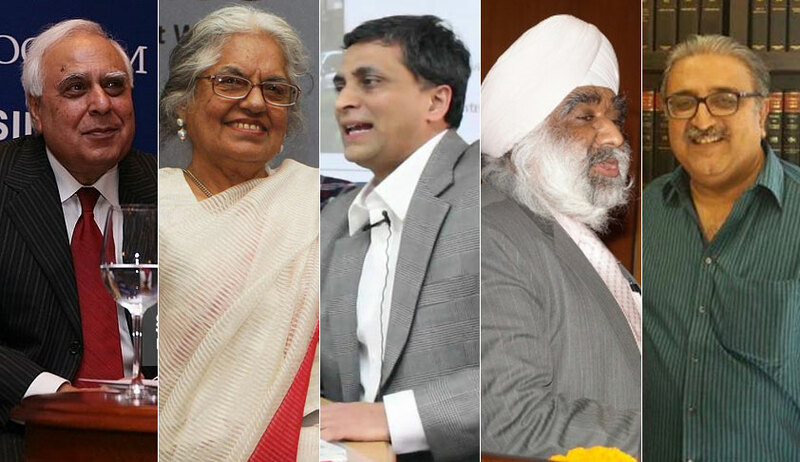 When Justice D.Y.Chandrachud said the bench was exploring and wanted the assistance of the counsel, Sibal and senior counsel, Indira Jaising said the first step is to ask her. “You need not accept it”, she said. Sibal said as an individual, Hadiya says she still wants to go, even if indoctrination is true. “First talk to her, get prima facie idea about her, see whether there is compelling evidence to conclude. Send her to a medical facility or declare that she is exercising free choice. She is here for that purpose”, Sibal told the bench. The fact that the bench had not made up its mind whether to hear Hadiya even after two hours of frenzied arguments back and forth, infuriated the counsel. Indira Jaising asked whether the bench would have doubted her faculties, had Hadiya been a man rather than a woman. This angered Justice Chandrachud, who said the bench treated both genders equally. “How did the gender issue come in here”, asked the CJI, Dipak Misra, expressing his surprise. Many counsel then cautioned the bench that Hadiya is a doctor and has her own mind. “What would she think, if the Court did not find her worthy of hearing her, after calling her”, they asked the bench. “She understands all that is going on in the court”, they told the bench. The CJI then said, the bench was only exploring the sequence of steps to be taken. Justice Chandrachud said the question is at what stage the court could step in , as an adult individual, she could decide. Then followed the one-to-one conversation between Justice Chandrachud and Hadiya through senior counsel, V.Giri, who functioned as an interpreter from Malayalam to English. Getting Hadiya’s answers on her qualification, interest in studies, habits, and perception of life, the bench decided to let her go her way, by freeing her from the clutches of her parents, postponing the adjudication of larger issues such as indoctrination etc. to another day. We direct, as desired by her, that she be taken to Salem so as to enable her to pursue her internship/housemanship. We also direct the college to admit her and to allow the facility of a room or a shared room in the hostel as per practice to enable her to continue her internship/housemanship afresh. If any formality is to be complied with, the college shall communicate with the university and the university shall accede to the same. Our directions are to be followed in letter and spirit by all concerned. Needless to say, when she stays in the hostel, she will be treated like any other student and will be guided by the hostel rules. If necessary, the expenses for pursuing the course and for the hostel shall be borne by the State of Kerala. The Dean of the College shall approach this Court if there is any problem with regard to any aspect. 'Any problem' does not mean, admission in the hostel or continuance in the course. We direct the State of Kerala to make all necessary arrangements so that she can travel to Salem at the earliest. She has made a request that she should be accompanied by policewomen in plainclothes. The State shall attend to the prayer appropriately. If any security problem arises, the State of Tamil Nadu shall make local arrangements for the same. We have been told that she is presently staying in Kerala Bhawan at New Delhi. Mr. V. Giri, learned senior counsel assures this Court that she shall be permitted to stay in Kerala Bhawan till she moves to Salem. We make it clear that the NIA investigation shall continue in accordance with law.